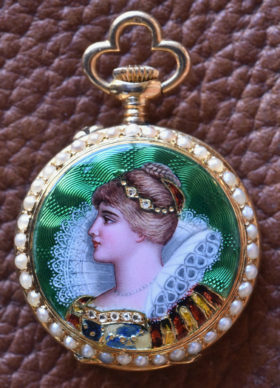 This Swiss ladies’ pendant watch is crafted of 18K gold and is an exquisite example of finely painted portrait work. The portrait is done in breathtakingly precise detail, down to individual strands of hair, done over precise engine turned enamel. 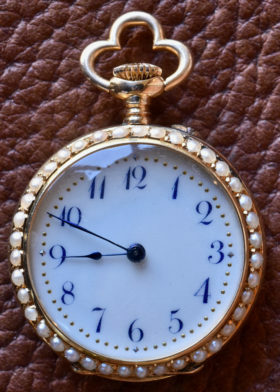 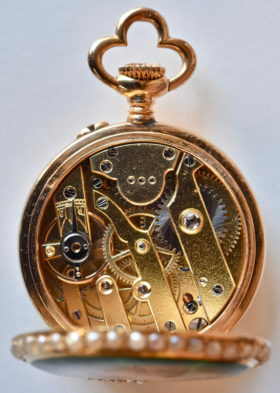 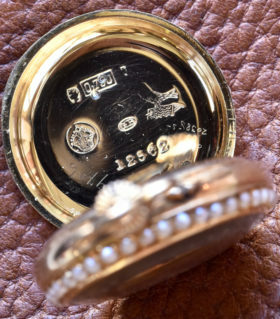 The piece is highlighted with diamonds, gold leaf, and a seed pearl bezel. 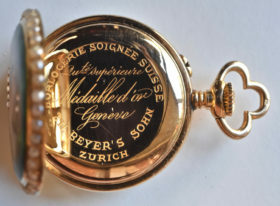 Signed ZH Beyer’s Sohn, Zurich.